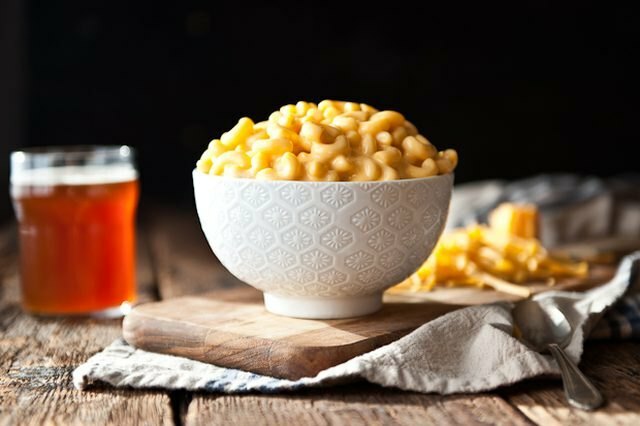 Sorry kids, but this mac and cheese recipe is for adults only. Slow cooked in a crock pot, it's the ultimate comfort food made in the easiest way. 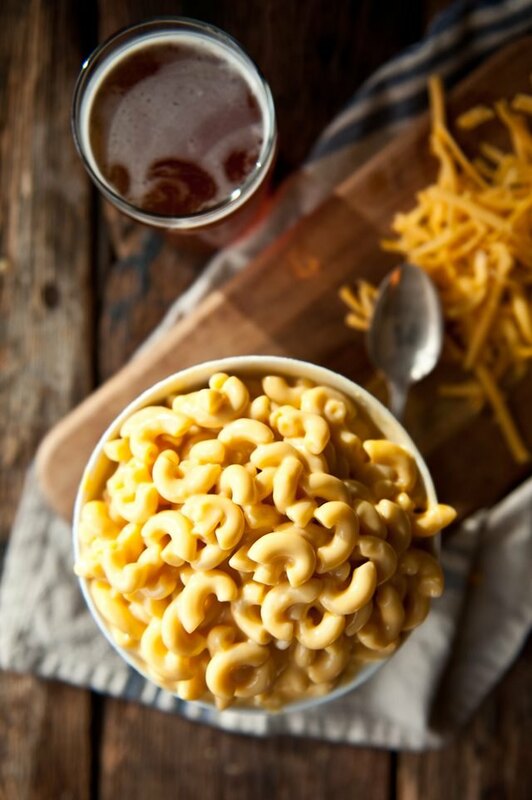 Perfect for game day, holidays, potluck dinners, or after a day spent in the snow. Add all ingredients except the elbow macaroni to a blender; blend until smooth. Add the sauce and the dry macaroni noodles to a slow cooker; stir to combine. Cook on low for 2 hours, stirring every 30 minutes.